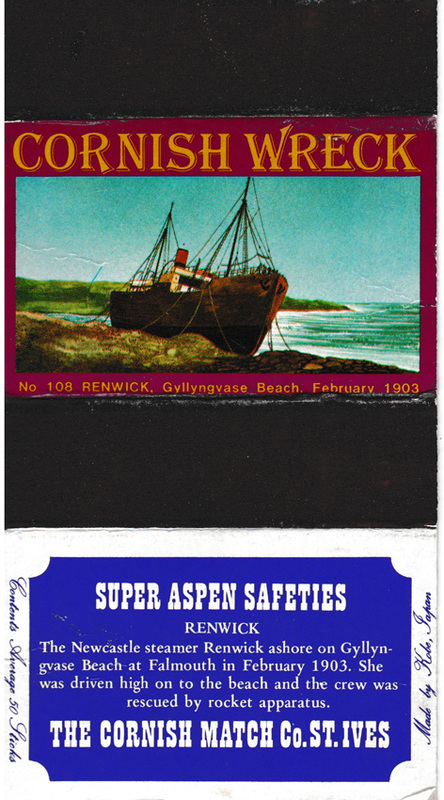 The Renwick of Newcastle ran ashore on Gyllyngvase Beach, Falmouth in February 1903. She was driven high to the beach and the crew was rescued by rocket apparatus. She was refloated but was subsequently in a collision with a French steamer off Newfoundland and sank on 27th December 1911.